Republican lawmakers on Wednesday continued their effort to slow down Democratic Secretary of State Jocelyn Benson from settling a federal lawsuit alleging gerrymandering in several of the state’s congressional and legislative districts. The GOP-led Senate passed Senate Resolution 6, sponsored by Sen. Ken Horn (R-Frankenmuth), allowing state Senate Majority Leader Mike Shirkey (R-Clarklake) to seek legal counsel and file a motion on behalf of the legislative body. The move by the Senate comes just one day after lawyers representing other GOP lawmakers in Michigan filed court documents seeking to halt the settlement in the case, League of Women Voters. V. Benson. Sen. Ruth Johnson (R-Holly), who served as secretary of state until Jan. 1, abstained from the vote, seeking to avoid the appearance of “impropriety” or a conflict of interest. Johnson had been the defendant in the case — and actively fought it. Benson, a Democrat, became the defendant after taking office on Jan. 1. She has said that settling the case, brought by the League of Women Voters of Michigan and a number of Michigan Democrats, would negate the need for a trial which was set to begin next month and save taxpayer resources, as the Advance reported last week. Should a settlement happen, it’s likely that fewer than 34 of the state’s contested districts would get redrawn, according to court filings, but it’s unclear how that would impact other neighboring districts. This would take place before the independent redistricting commission established in Proposal 2 of 2018 would meet to draw lines after the 2020 census. This lawsuit is of particular interest to the Senate. It’s likely that several contested Senate districts would come up for re-election in 2020, two years ahead of schedule. Senate Democrats blasted their GOP colleagues seeking to intervene in the increasingly contentious case. 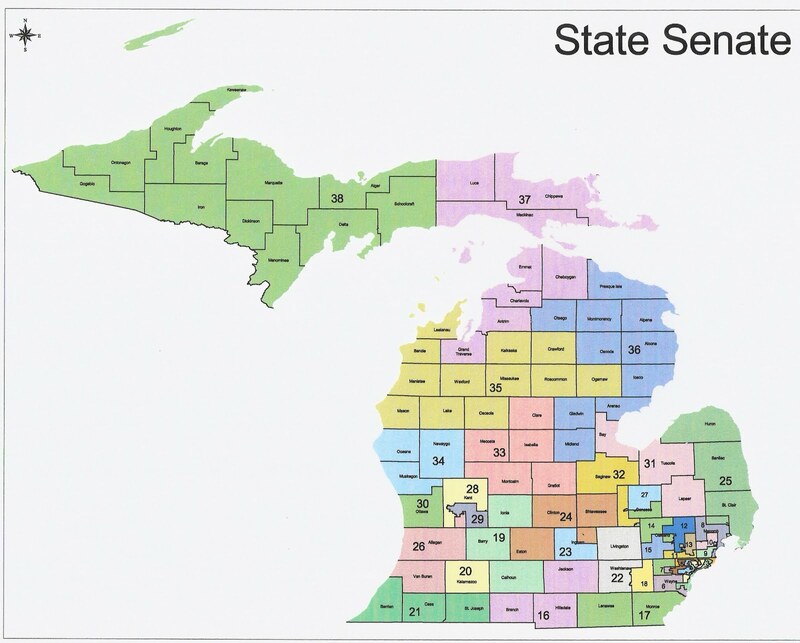 As a state representative in early 2017, now-Sen. Jeremy Moss (D-Southfield) introduced legislation to create a citizen’s redistricting commission, effectively taking the power of redistricting out of the hands of elected officials. While Moss’ legislation was sent to committee and never acted on, voters approved a similar measure in Proposal 2. Moss, in a statement, said he believes that the with the advent of a commission taking over that duty, the Legislature should stay out of the lawsuit.